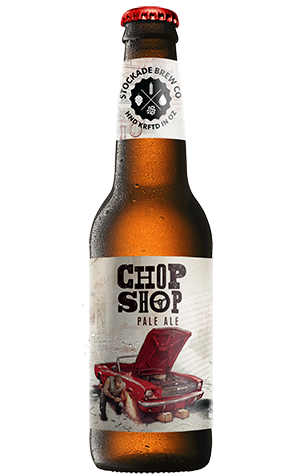 The image of a mechanic welding a muscle car on this beer’s label gives you the sense of something tough, a little dirty and no-nonsense. And that’s about right for this beer, though not in a bad way. This is an assertive American pale ale that serves up plenty in the hop department. Four varieties – Cascade, Columbus, Simcoe and Fuggles – are used in combination to create a beer bursting with herbal, floral and slightly spicy aromas. They also contribute to a bold and lengthy, albeit pleasant, bitterness that flows off some dank and earthy characters. The combination of malts combine for a caramel sweetness which goes hand in hand with the beer’s caramel colour. At just 4.7 percent ABV, this is a beer with more grunt under the hood than you might expect.